The group discussed common difficulties experienced by students when performing tasks that merge science content with quantitative skills, and how Data Nuggets can alleviate these difficulties. Based on these discussions, our next steps are to identify specific quantitative skills we want students to develop by using Data Nuggets. These learning outcomes will inform the development of a preliminary assessment tool that we will use to examine student gains after using Data Nuggets. Additionally, we hope to extend Data Nuggets to the undergraduate classroom and will be piloting Data Nuggets in introductory biology and math courses. We will organize professional development sessions for faculty to learn about and create Data Nuggets. Meeting 1 participants (L to R): Louise Mead, Melissa Kjelvik, Molly Stuhlsatz, Laurel Hartley, Julie Morris, Paul Strode, Kristin Jenkins, Elizabeth Schultheis, Jeremy Wojdak, Ariel Cintron-Arias, Robert Mayes, Gordon Uno. 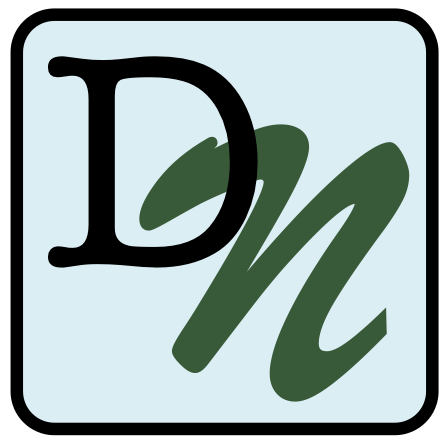 Data Nuggets were featured on the Molecular Ecologist blog. Article is reproduced below, and can be found on their blog here. This week we have a special guest post by Elizabeth Schultheis, a PhD candidate at Michigan State University and the Kellogg Biological Station, to describe her Data Nuggets project. Data Nuggets is a great way to invest in the scientific community of the future by making research accessible to K-12 educators and students in new and exciting ways. Broader impacts can be hard. We’ve all had that moment while writing an NSF grant proposal where we have to discuss the broader impacts of our research and demonstrate that our work contributes to society. The NSF makes it clear that they highly value projects with significant broader impacts; grants that do not explicitly address them will be returned without review, and some reviewers give them equal weight to the intellectual merit of a project when making funding decisions. Additionally, it is no longer enough to train undergraduates when performing our research, or TA a course where we discuss our research. The NSF is looking for creative answers to their call for projects that both improve our understanding of science and benefit society. Data Nuggets are worksheets that bring data collected by scientists into the classroom, giving students the chance to work with real data – and all its complexities. By working with real data, students practice interpreting quantitative information and making claims based on evidence. The standard format of each Nugget provides a brief background to a researcher and their study system along with a small, manageable dataset. Students are challenged to answer a scientific question, use the dataset to support their claim, and construct graphs to facilitate data interpretation. Because of their simplicity and flexibility, Data Nuggets can be used throughout the school year as students build confidence in their science and quantitative skills. So what do you need to do to make a Data Nugget from your own research? Basically, you need to tell a story about your research and the process that lead you to your ideas and questions. This story should be written in a very accessible format, leaving out jargon or unnecessary complicated subjects. With this story you share a small dataset from your work, and a short description of your interpretation of these findings to help teachers discuss this topic with students in class. We have detailed instructions available on our website to guide you through the steps of making a Data Nugget. Use our template to guide you through each simple step. We also have presentation slides and some cool resources in case you’re feeling stuck and need some inspiration. We are so excited to help you create a Data Nugget of your own; please contact Liz (eschultheis@gmail.com) or Melissa (kjelvikm@gmail.com) if you have any questions! Our next step for Data Nuggets is to formally assess improvements in student learning and attitudes about science when using these worksheets as part of their curriculum. We hope that soon scientists who create Data Nuggets will not only be able to say they have created a resource that is used in classrooms across the country, but that they are part of a project that improves students’ scientific understanding and comfort using quantitative data to answer questions. For updates on Data Nuggets, like us on Facebook and follow us on Twitter! Our first journal publication is coming out in the American Biology Teacher in their January 2015 issue. Graduate student Kylee Grenis from the University of Denver has developed a guide for students to help them read the primary literature. A PDF of her guide How to read a scientific paper can be found on our Resources page! As your scientific career begins to blossom, you will need to incorporate an understanding of the scientific literature into your lab report. Academic sources are considered to be reputable because they go through an extensive peer-review process to determine whether there is scientific merit and proper methodology to support the claims of the study. Wikipedia does not have this extensive process, which is why it is not acceptable to cite this source in your lab reports. A scientific paper is ranked in importance based on the number of times it is cited, meaning how many other papers reference it within their own text. Papers that are cited hundreds of times are considered to be foundational papers in the field. Papers that are cited only once or twice will tend to be very specific or were published recently. You may need to rely on both foundational papers and more recent works to write a lab report. It can be really intimidating to read primary literature. Scientists like to use a lot of jargon that is specific to their field and bring up theories you may not be familiar with. But, once you slow down and take the time to really dig into the article, you can find a lot of useful information and inspiration as well as additional relevant papers to read. When you really concentrate on an article, it should take you at least an hour to read. Think of each journal article as a textbook chapter. Even though an article may be only 12 pages long, it will have a lot of information to sort through. When I read a journal article, I keep a notebook close by to write down my thoughts, define terms, and record key findings. This way I have a record of papers I’ve read and I can quickly go back and find out what that paper was about. Here is my methodology for reading a journal article. Articles include an abstract for a reason. Abstracts give a quick overview of the paper’s topic, methods, and findings. However, it is not a great idea to solely read abstracts in place of the entire paper. You’ll find more information, and gain a better understanding of how scientists think and convey their findings, by reading the entire paper. Besides, if you never practice reading articles, it will never get easier. Question 1: While reading the abstract, see if you can determine what the author’s hypothesis/hypotheses are. Question 2: Identify the general findings. These are important to keep in mind as you delve into the paper. The introduction of the paper should have an overview of the general principles, hypotheses, or theories, tested in the study. It should also explain why they are using the particular organism or system of study. Lastly, it should include the hypotheses tested. In addition to introducing key concepts to frame the rest of the paper, the introduction will have lots of terminology used throughout the article. If there are any terms you do not understand, look them up now as you will probably see them again. It will save you lots of strife and increase your vocabulary. The introduction is also a great place to find additional sources. Because introductions introduce key theories and study systems, they can be great resources for finding both more general and more specific information. Question 3: While reading the introduction, identify general theory explanations, study systems, hypotheses and/or predictions. Question 4: Define any terms you do not already know. Question 5: Highlight two additional sources you would look up for more information. The methods section should cover locations, dates, details of experimental design, and statistical analyses used. Scientific studies generally fall into two camps: observational or manipulative studies. Observational studies do not manipulate any variables; they rely on existing natural variation to find relationships between variables. Experimental studies use controlled manipulations to determine relationships between the independent and dependent variables. The methods section will also outline statistical analyses used to determine these relationships. Do not be scared by the statistics! Just realize that these are tests the author uses to find whether the relationship between the independent and dependent variable is statistically real or if it is a function of random chance. Question 6: Highlight where and when the experiment was conducted. Question 7: Determine the type of study. Is it observational or manipulative? Does this determine the experimental design used? The results section is what you have been waiting for! This section shows the results of the study through the statistical analyses. Note that there are no interpretations of the data. The results section should simply report the data. The author will describe the results of the statistical analyses by reporting the test statistic (a number calculated from the data to determine the p-value; it varies between statistical tests), the number of independent data points (degrees of freedom or df), and the p-value (significance value). P-values of less than 0.05 are considered to be significant. Additionally, take a look at the figures. The figures will be a graphical representation of the data. You may already be familiar with a few types of common graphs. A scatter plot will show the relationship between a continuous independent variable and a continuous dependent variable; continuous variables have variable limits, like the temperature outside. Scatter plots with a best-fit line are common with regression statistical analyses. Another graph you are probably familiar with is the bar graph. Bar graphs show the relationship between a categorical independent variable and a continuous dependent variable; categorical variables are those where data points are grouped. For example, different treatment groups, like fertilized or non-fertilized, would be categorical while plant measurements, like number of leaves or plant height, would be continuous. Statistical tests that commonly use bar graphs to report data are the t-test and ANalyses Of VAriance (ANOVA). Question 8: Determine the statistical tests reported in the results. Does this match with those from the methods section? Question 9: Look at the figures. Determine the independent and dependent variables. Are they continuous or categorical? How can you tell? Question 10: Find each figure citation (e.g. Fig. 1) in the text of the results section. Does the text match what the figure shows? The discussion section will interpret the results of the data and place them in the greater context of the research done in this field. You can think of the discussion section as a joining of the introduction section and the results section. The discussion should mention whether the results support or do not support the hypotheses. If the data does support the hypotheses, the authors should delve into why this is important, how it relates to other studies, and the implications of the findings. Note that the authors will refer back to figures and tables from the results section to support their claims. If the data does not support the hypotheses, the authors will delve into why this is important, how it relates to other studies, and the implications of the findings. Even if the data do not support the original hypotheses, it is still important and interesting! Question 11: Determine whether the hypothesis was supported or refuted. Question 12: Look at the references back to the results section. Do the figures support the claims and interpretations of the authors? Question 13: Think all the way back to the abstract. After reading the entire article, does the abstract give an accurate picture of the entire study? Once you have a pretty clear idea about the main points of the article, look at other papers that cite the article. You can scan the new article to find the original article citation and double-check your interpretation. Think About It Tip 1: Did the citing authors reach the same conclusions you did? If not, what did they find most important? Think About It Tip 2: Do you agree with their interpretation? Think About It Tip 3: Think about your own study. How will this article help you support your hypotheses or your results? Data Nugget survey for teachers! We have created a survey “Data Nuggets in the Classroom” to help get an estimate of how many teachers are currently using Data Nuggets, and to get teacher feedback on this educational resource. We are very interested in what Data Nuggets can add to your existing curriculum and any gains in quantitative reasoning or excitement for science you may have observed in your students since using Nuggets. To participate in the survey, please click here! Data Nuggets funded for a second year by BEACON! Integrate “data levels” into existing writing and graphing levels to help students move through a quantitative learning progression and increase evolutionary understanding. Develop writing and data extensions to promote use of Data Nuggets at the undergraduate level, including making large evolution and ecology datasets available for classroom use. 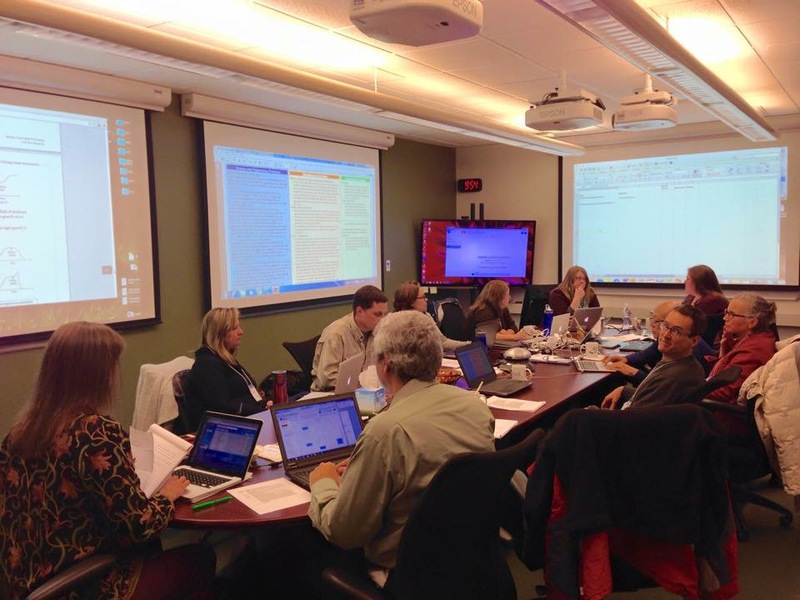 Administer assessments developed at the NIMBioS working group and publish findings. Data Nuggets Workshop coming to a university near you! For Teachers: Data Nuggets are activities that bring real scientific data into K-12 classrooms and guide students through the entire scientific process. Our workshop will introduce you to Data Nuggets and how they fit into your curriculum and align with national science standards. Our goal is to use current research to capture the attention of students by engaging them with more than just the conclusions of a study, but the story and process of the researcher behind the ideas and data. Teachers that have previously used Data Nuggets in the classroom believe their students get excited about a research topic while increasing their quantitative skills and competency with the scientific method. For Scientists: Data Nuggets are activities that bring real scientific data into K-16 classrooms and guide students through the entire scientific process. Our workshop will help you create your own Data Nugget to be posted on our website datanuggets.org! Creating a Data Nugget will help you think about the essence of your work and how it can be framed to captivate diverse audiences – from elementary students to fellow scientists. Data Nuggets are an avenue toward broader impacts as your research will be shared with K-16 audiences and improve the understanding of science in society. Data Nuggets will be presented at the Michigan Science Teacher Association (MSTA) 2014 Annual Meeting on March 7th. As graduate students, we have experienced our fair share of unexpected results and experiments gone awry, and have no problem reassuring teachers that this is nothing to be afraid of. Often, we learn more from data that goes against our original hypothesis, but this can be intimidating in a classroom setting with limited time or ability to conduct follow-up experiments. Because we cannot go into every classroom to share this message, we thought that it would benefit students to work with data collected by scientists, instead of just seeing the polished results presented in textbooks. Along with other fellows in the K-12 Partnership at KBS, we developed an educational tool aimed to do just that. Data Nuggets are worksheets that give students the chance to work with real data – and all its complexities. Each Data Nugget includes a brief background to a scientist and their study system along with a small, manageable dataset. Students are then given the scientist’s hypothesis and must use the data to construct an argument as to whether the data does or does not support it. One of our priorities has been to provide resources for students of all ages and skill levels because we recognize that students are often overwhelmed with data interpretation. As such, we have created Data Nuggets for students ranging from grades K-16, with varying levels of difficulty. We hope providing this structure will allow teachers to build these skills throughout a student’s entire education, ultimately preparing them for a career in science. As we present Data Nuggets in classrooms and at national conferences, we continue to get great feedback from teachers on ways to improve the Nuggets and how teachers see them as fitting into their classrooms. “As we get our students ready for ACT testing, Data Nuggets are wonderful sets to use in our classroom because they are relevant and introduce “real” research to our students who might not have this type of exposure otherwise.” (K-12 Partnership teacher Marcia Angle, Lawton Middle School). 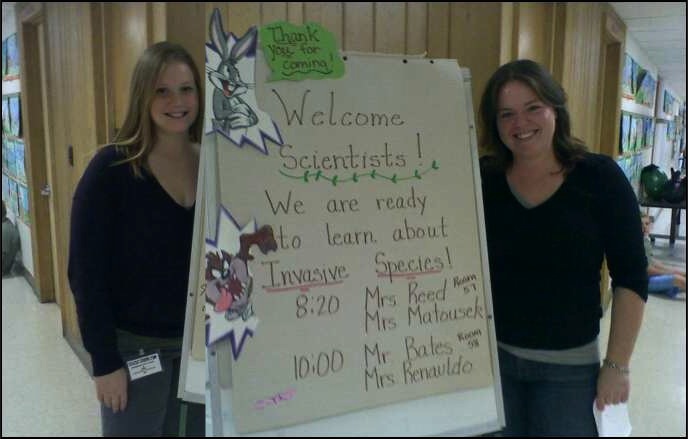 Melissa and Liz presenting their research to elementary students. As scientists, we also see Data Nuggets as a great way to share our research with the public. We have each created Nuggets from our own dissertation data (Liz – invasive species, Melissa – animal behavior). Because we believe Data Nuggets could be a great way for all researchers to communicate their work as scientists, our future plans are to hold workshops to help scientists make Data Nuggets of their own. Communicating science to broad audiences is a skill that is becoming increasingly desirable for acquiring jobs and grants. We think Data Nuggets will help develop these skills in scientists of all disciplines and help them to think broadly about the societal importance of what they do. Data Nuggets are currently funded by NSF’s BEACON Center for the Study of Evolution in Action, and originated through MSU’s GK-12 program at the Kellogg Biological Station. The current landscape of K-12 science education is shifting – moving away from memorization of science facts to an approach based on the scientific method where students are taught quantitative skills and how to construct arguments from evidence. These skills are increasingly important as technology increases our access to large pools of data that must be quickly interpreted – including hot science topics in the news, such as evolution and climate change. While teachers support the shift, they currently lack the classroom resources necessary to make the change in their classroom. Additionally, teachers are worried about addressing The Next Generation Science Standards (released April 2013) and preparing students according to the ACT Readiness Standards, as both have increased expectations of analytical and quantitative skills for K-12 students. At present, there is no resource available to teachers that allows them to reinforce these skills repeatedly throughout the school year and continuing grade levels, while also covering core content and hitting on all parts of the scientific process. The BEACON Project has many overlapping goals with the new science standards, and is well situated to help teachers address their concerns. First, an understanding of evolution depends on a student’s analytical and quantitative skill set. Much disbelief about evolution comes, not from a lack of evidence, but the inability of the audience to understand the scientific process and synthesize evidence to make an argument. Second, a multidisciplinary approach is essential when addressing the new science standards, as quantitative skills must be brought to bear on all science topics and be used as a way of thinking, more than just one unit within the curriculum. Third, once students understand scientific principles, such as the evolutionary process or how to ask questions of the natural world, they will be more excited to pursue a scientific career than if they believe science is purely fact memorization. Students will be able to apply these skills to other careers as well – just as programmers and engineers in BEACON use principles of natural selection to design better software and products. To achieve the goals of BEACON and science standards, teachers need a multidisciplinary and versatile tool that closely resembles the actual practice of scientific research and quantitative analysis. Data Nuggets give students the opportunity to work with real scientific data. We are currently developing a tool that we think has the potential to address these curriculum changes and BEACON goals: Data Nuggets, which bring data collected by scientists into the classroom, thus giving students the chance to work with real data – and all its complexities. Data Nuggets are worksheets designed to help students practice interpreting quantitative information and make claims based on evidence. The standard format of each Nugget provides a brief background to a researcher and their study system along with a small, manageable dataset. Students are then challenged to answer a scientific question, using the dataset to support their claim, and are guided through the construction of graphs to facilitate data interpretation. Various graphing and content levels allow for differentiated learning for students with any quantitative or science background. Because of their simplicity and flexibility, Data Nuggets can be used throughout the school year and teachers can provide higher graphing levels as students build confidence in their quantitative skills. 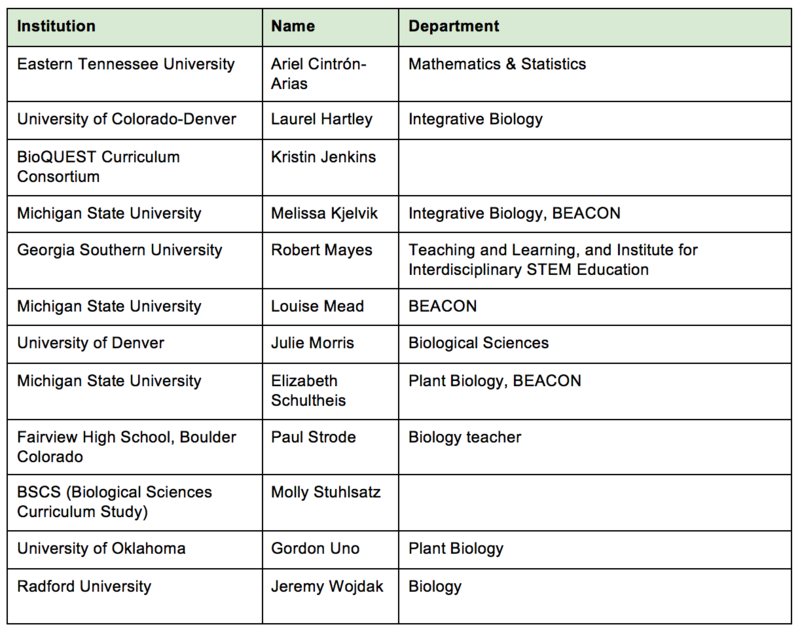 Utilizing the unique teacher-graduate fellow partnership organized by the Kellogg Biological Station’s GK-12 program, Data Nuggets were created by graduate students in response to discussions with Michigan teachers who expressed concern about students’ ability to make claims based on evidence. When first designing Nuggets, GK-12 fellows held a teacher workshop at KBS to solicit feedback on the structure, organization, and content to make Data Nuggets a teacher and classroom friendly resource that could be used at all grade levels. Teacher feedback continues to be an invaluable component to the development of the Nuggets as we travel to conferences such as ESA Life Discovery and National Association of Biology Teachers. More recently, the Nugget network has expanded beyond GK-12 to include datasets from graduate students, faculty, teachers, and undergraduate researchers at KBS. enhance accessibility of Data Nuggets by creating a user-friendly website and presenting Data Nuggets at teacher conferences. We anticipate Nuggets will be a popular tool for academics to share their research with broad audiences. The short, simple Nugget template facilitates the creation of additional worksheets by making the process quick and easy for faculty and graduate students in all disciplines. Researchers who create Nuggets will improve their science communication skills, important when giving talks, writing papers submitting grants. Additionally, graduate students involved in BEACON can make Nuggets on findings from multidisciplinary collaborations, such as connections between evolution and engineering. We will be organizing workshops at BEACON-affiliated universities to provide the training necessary for BEACON researchers to create a Data Nugget of their own. We will walk through the basic components of the Data Nugget and provide feedback as to the appropriateness of their Nugget for specific grade levels. Additionally, we will reach out to K-12 teachers at schools near each institution to increase awareness of Data Nuggets and invite them to make Data Nuggets of their own.